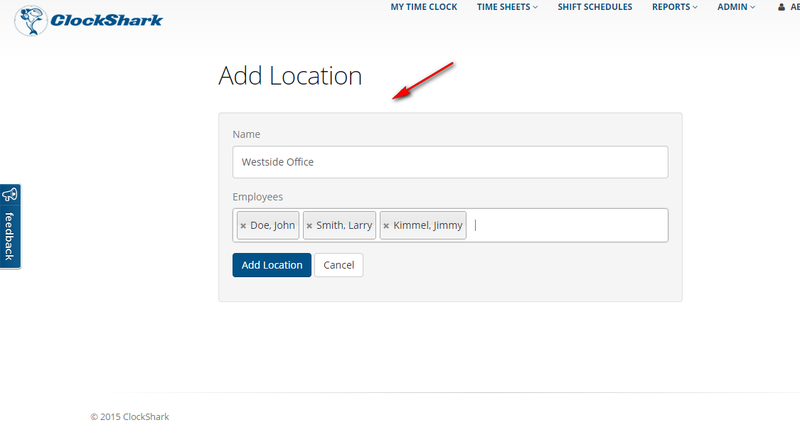 Locations in ClockShark can be used to classify groups of employees as belonging to specific business/office location. A Location in ClockShark can be used to classify groups of employees as belonging to specific business/office location. This feature would typically be used only by businesses with multiple offices or service areas. Hint: It's easy to confuse Locations with Jobs. A Job is used to track labor hours worked, while a Location is used to classify which business location an Employee belongs to. If you have a further need to group employees into Departments, you may wish to use Departments in conjunction with Locations to further classify and filter your Employees. To add Employees to a Location, visit the Locations screen located in your Admin Menu. Tip: Departments and Locations can be turned on or off in ClockShark via the Company Settings screen.